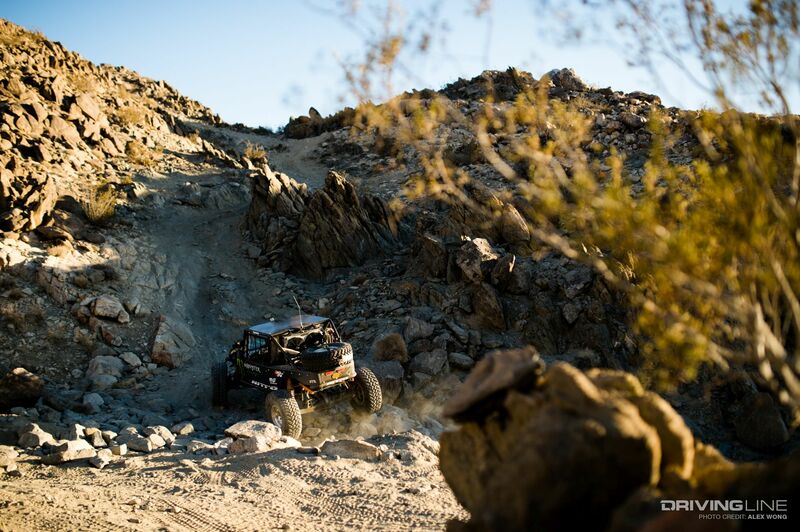 For most, a trip out to watch King of The Hammers is action enough. 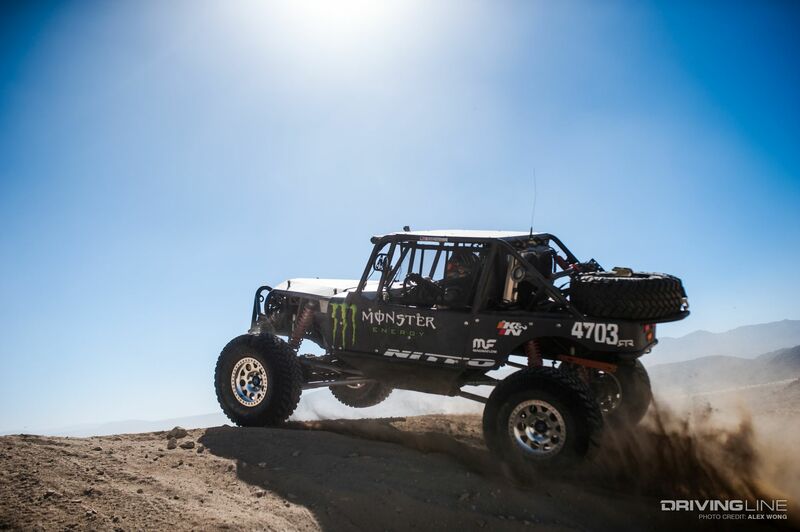 Drifting pro Vaughn Gittin Jr. packed a ton more action into his first King of The Hammers – he showed up, raced it, and placed 10th! 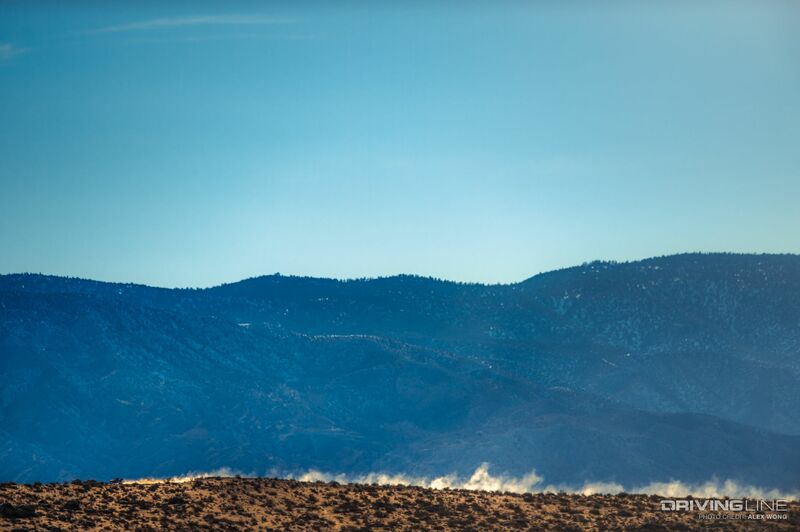 For those less familiar with off-road racing’s toughest one-day race, not just anyone finishes King of The Hammers much less places in the top 10. Many of the competitors are crossing their fingers just to grab a finish in a race that historically has only about a 15% finish rate. 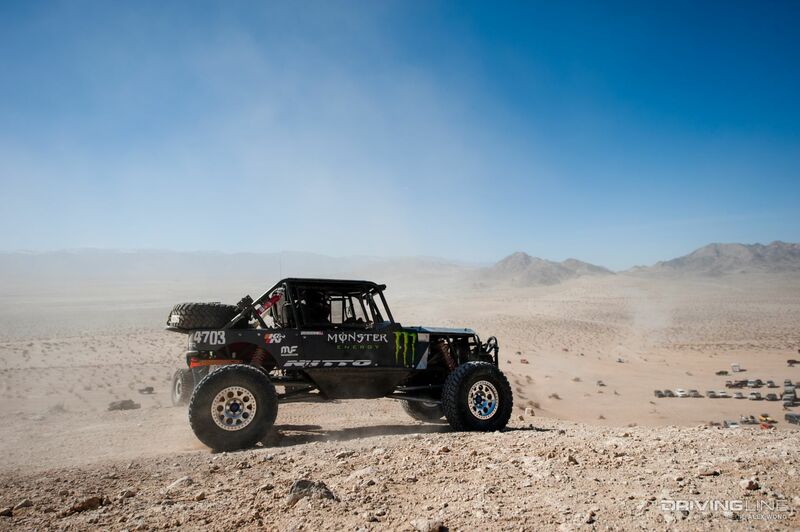 Landing on the lakebed just a day before the big race, Vaughn Gittin Jr. stepped in an Ultra4 car for the first time and got a crash course in off-road racing from two-time KOH winner, Loren Healy. 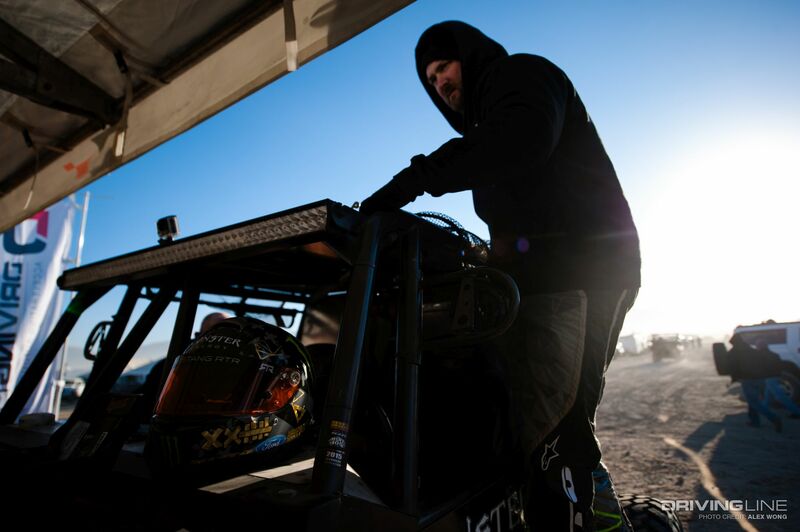 For Vaughn, this was his first off-road driving experience save for racing motocross as a teenager and mobbing UTVs through East Coast trails. 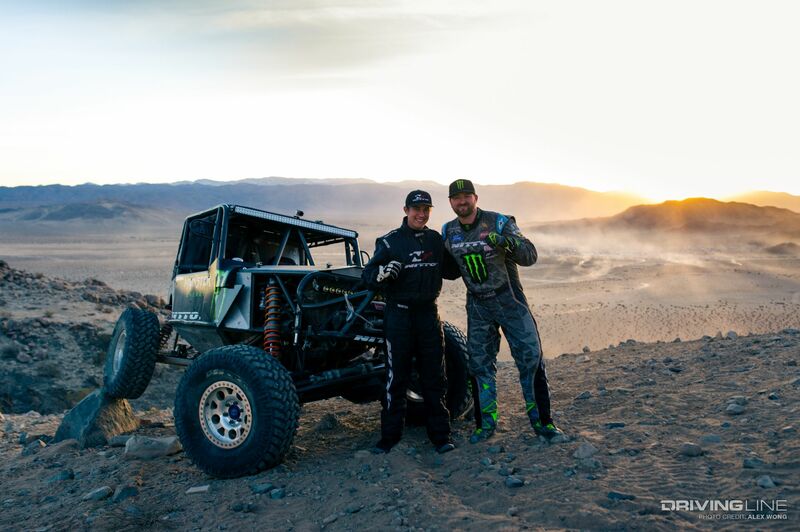 Having watched a few videos from King of The Hammers and meeting Loren and the Campbell’s at various Nitto events, he jumped at the opportunity to join in the race. 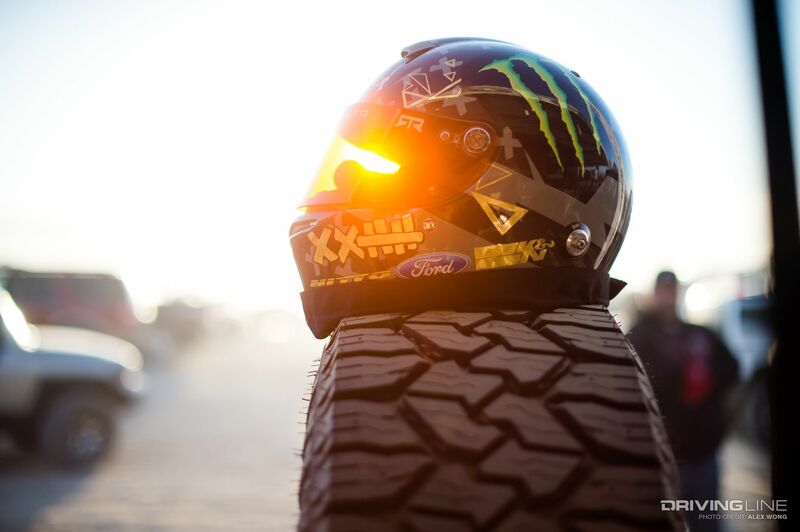 The fact that he’d be getting behind the wheel in a car he was unfamiliar with and tackling terrain that most car enthusiasts would consider undrivable only made it more alluring and badass! 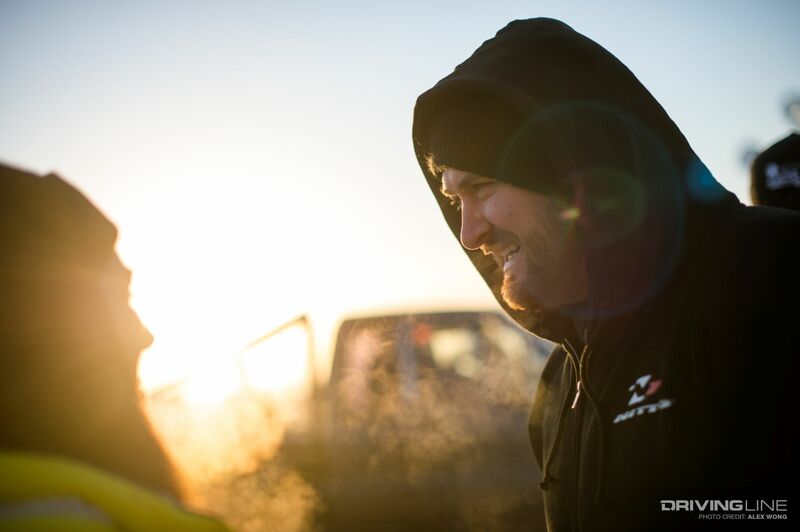 VGJ: “The experience went kind of like this: I jumped in the truck, he walked me through how to get it in high and low and walked me through the process of how the truck works, and we headed out to the desert. 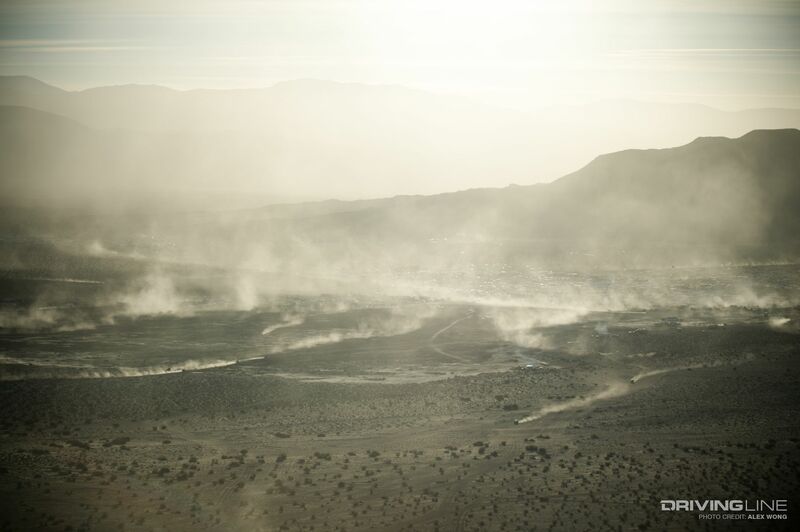 Once we drove the desert a little bit he took me to one of the old qualifying spots which was a waterfall… a straight up and down ledge. And I thought, ‘Yeah I get it, haha. I’m the new guy. No. Where are we really gonna practice?’ And he was like, ‘No, go up that.’ So I put it in 4WL and he helped me with the angle of how to approach it and sure enough, it went up. 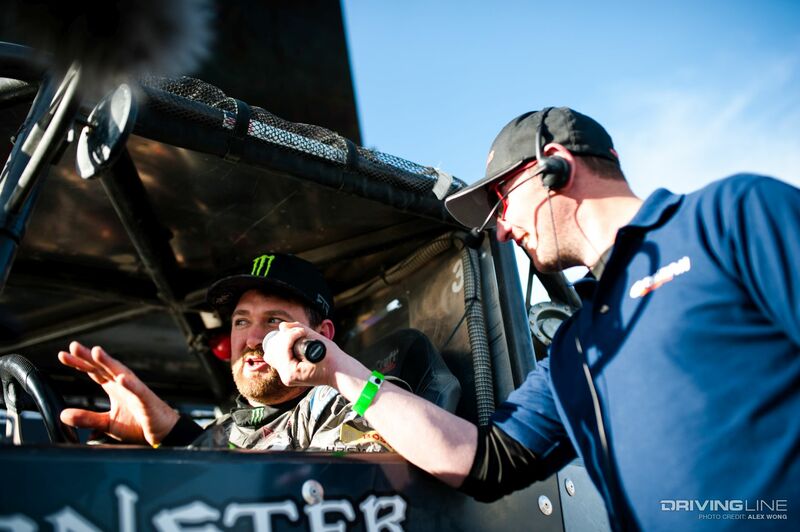 “After that insanity, Bailey Cole jumped in the passenger seat and I went up Chocolate Thunder with him a couple times. The first time I got to the base of Chocolate Thunder I was like… I didn’t know where to start. You look up this hill and it’s all these jagged and gnarly rocks. You wouldn’t even want to walk up this thing. Once I started and got movement, it all just sort of clicked. 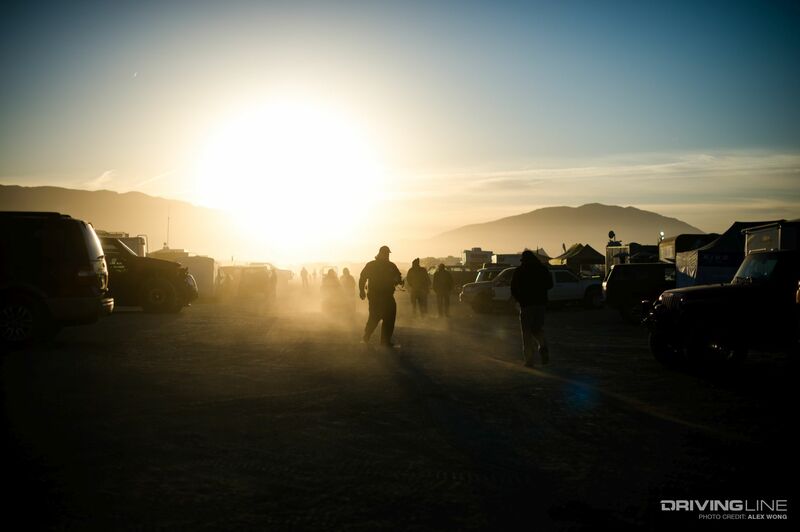 The line just comes to you. 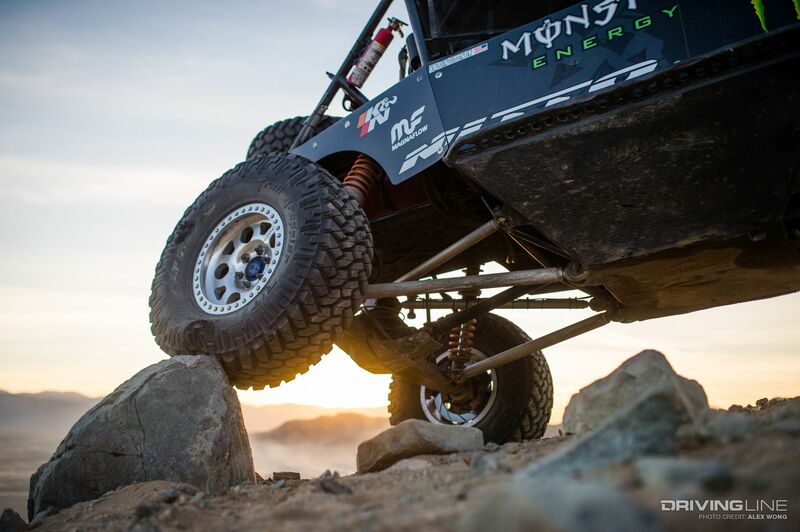 Everyone told me, ‘Make sure you keep the tires on top of the rocks.’ So I just kept that in mind and chose my line accordingly and made it up. 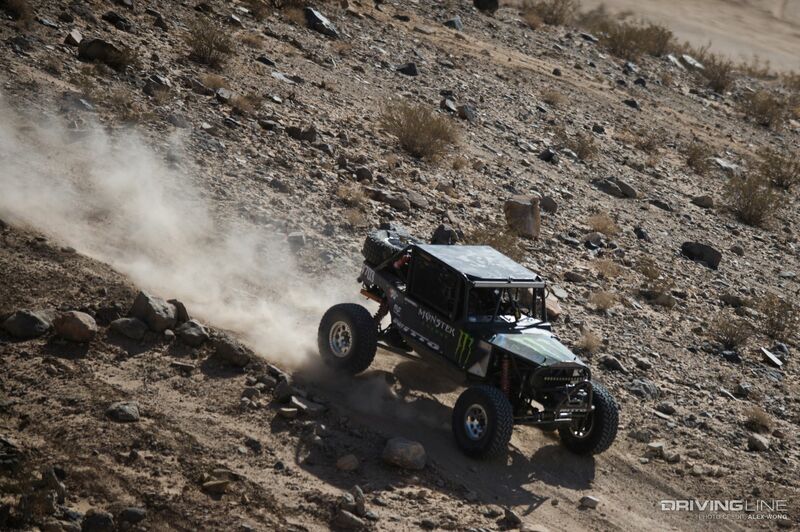 After driving lap 1, the open desert section, Vaughn had two laps through the rocks to tackle. 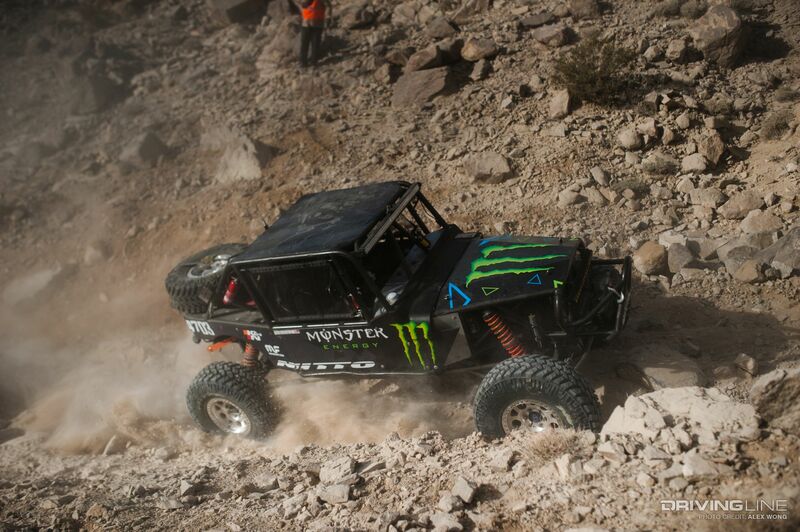 Navigating via GPS on almost 200 miles of terrain he’s never seen, Vaughn learned to work as a team with his co-driver – which is a good thing because Vaughn was both unfamiliar with Johnson Valley and at the same time had never GPS-navigated during a race. There was a moment when communications equipment lost signal and Vaughn estimates they lost 30 minutes from getting on the wrong trail. “We were in a ravine and it was clear that there were no tracks, and I actually got a little bit nervous. 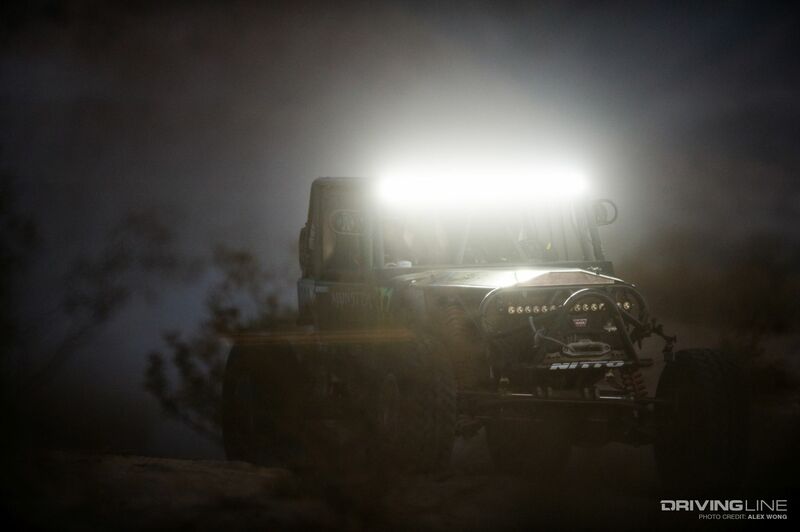 If you get lost out there… it’s going to be a little while until somebody might find you. 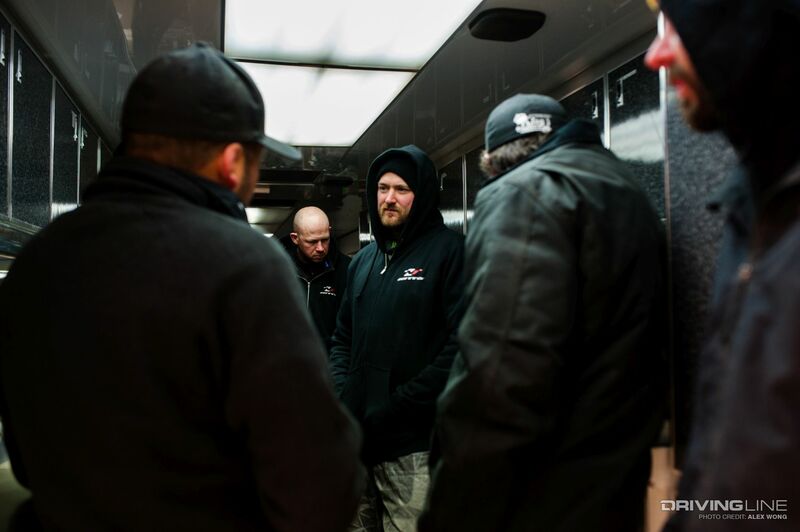 It was a little sketchy, but we prevailed,” remarks Vaughn. 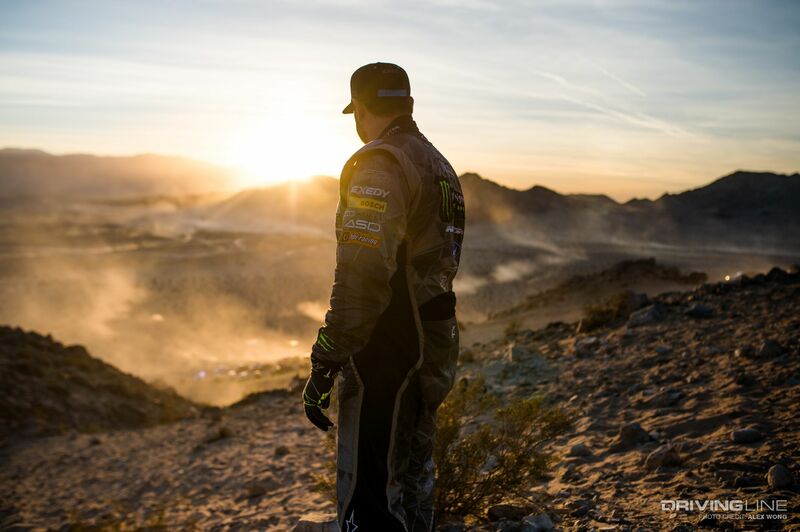 We can’t wait to see what Vaughn Gittin Jr. is up to next and we’re hoping that come next February we’ll see him racing out on the lakebed again! 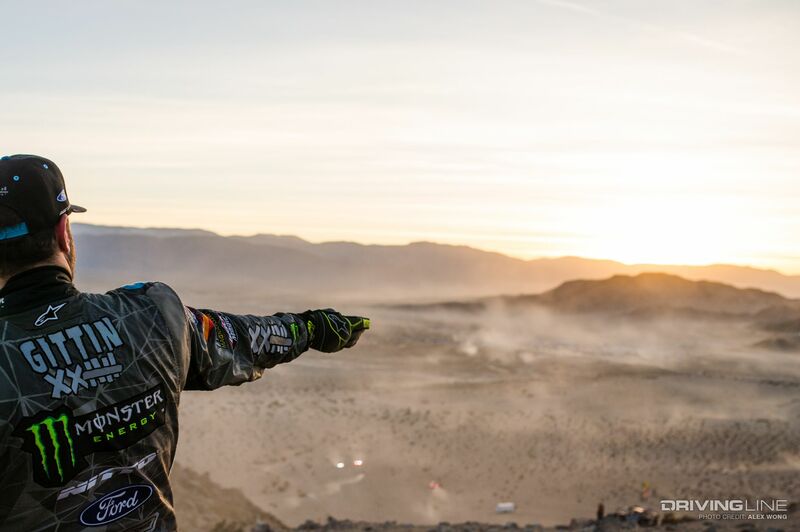 Watch the video to see Vaughn in action and hear more of his take from King of The Hammers, click here!